Let DASpedia Help Find Your Next Talent! 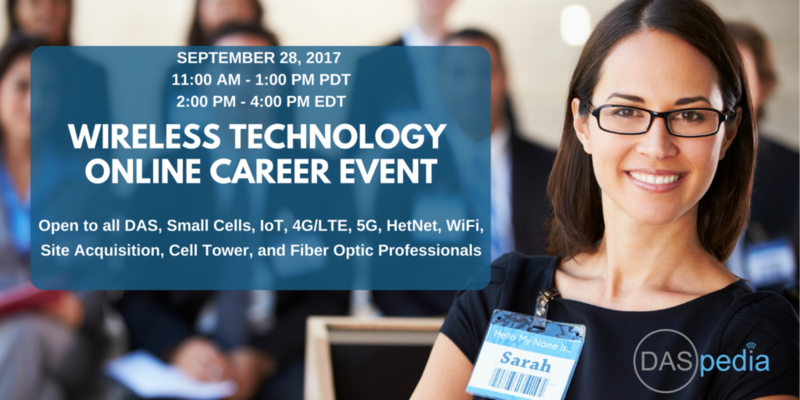 Attendees to our online career event are veteran wireless & telecom professionals represent various segments of our industry and bring a quality set of skills and experiences including but not limited to RF Design & Engineering, Sales & Marketing, Site Acquisition, Project Management, Tower Maintenance, Administrative, and C Level Management. DASpedia maintains a database of hundreds of companies and thousands of professionals involved in the wireless technology industry. We’ll help you deliver your message to the right people. We have individualized target lists of RF & Design Engineers, Sales & Marketing Professionals, C-Level Executives, Site Acquisition Specialists , Tower Professionals, and Project Managers. DASpedia’s core community of thousands of experienced, competent DAS & Small Cell professionals are ready and waiting to hear about your unique career opportunities. Why should your company participate in our event? Easy. Save on time and recruiting expenses. We’ll bring quality candidates straight to you. DASpedia maintains the largest database of wireless industry professionals specializing in RF, DAS, Small Cell, IoT, 4/5G, LTE, HetNet, WiFi, Site Acquisition, Cell Towers, and Fiber Optic. 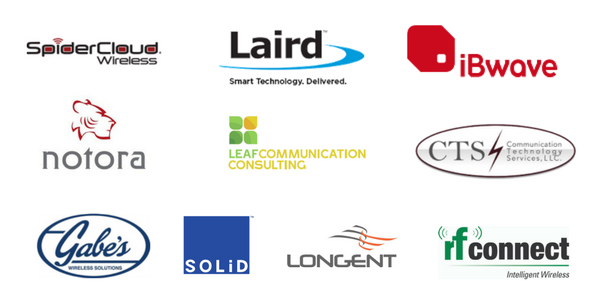 We are a trusted, recognized brand name in the wireless industry. Our regional events attract top notch professionals and we’re ready to connect them to you. Engage in one-on-one, timed chats with participating candidates and fill your positions quickly and efficiently. Full access to attendee list and candidate resumes. Chat transcripts with potential candidates are accessible up to 6 months after the event. Comprehensive event report of your booth activity which includes number of active participants, representatives, active chats hosted at your booth and number of completed chats with candidates and their information. Our list includes over 1000 RF professionals. The majority of these RF professionals are employed with Wireless Carriers, Defense Contractors, OEMs, Design Firms, and System Integrators. We have carefully tailored list of Sales & Marketing professionals, individuals with years of experience in technical sales. The majority of them have expertise working for Original Equipment Manufacturers (OEMs) and direct contacts with US wireless carriers and defense contractors. C-Level executive contacts from major US wireless carriers, OEMs, System Integrators and telecommunication firms are all available through DASpedia. There are thousands of professionals working in the wireless industry, including laborers, iBwave certified designers, and administrative level professionals in various capacities. DASpedia is the way to reach them. We maintain contacts of individuals working for System Integrators, Tower Companies and General Contractors. These individuals have experience in implementing a wide variety of DAS/Small Cell and other wireless projects. Here you can sign up for our weekly career listings added to DASpedia by talent seekers.